We had a litter borned on January 15, 2018. The puppies are now all in their new family. For information on how to make a puppy reservation, simply send us an email at buddysau@hotmail.com. 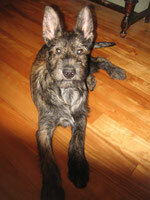 There are few Berger Picard breeders in Canada, so it il likely to be put on a waiting list. We prefer to place our puppies in families interested in dog showing. Our puppies are adopted as pets or show prospect puppies. Sometimes, although it is rare, that an adult needs to be rehome. If you would be interested in welcoming in your family an adult Picard, please contact us by email to be put on a list in such an eventuality. L'Élevage des Picardiers, being a Berger Picard breeder, take its role very seriously. We breed our females only ounce a year as recommended. This is one of the reasons that we have puppies available only occasionally. Our dogs are registered at the Canadian Kennel Club. Our puppies are vaccinated and microchipped. We offer a heath guarantee. The Berger Picard (Picardy Sheppard) breed is rare and still very little known in Canada. The Berger Picard is a wonderful dog but it requires lots of socialisation during puppyhood but also throughout his first full year. This is one of the reasons that we take great care in choosing their future guardians. We want you to live happily with your Berger Picard and we want our dogs to be happy dogs. As mentioned on my homepage « Adopting a pet is a lifelong commitment ». 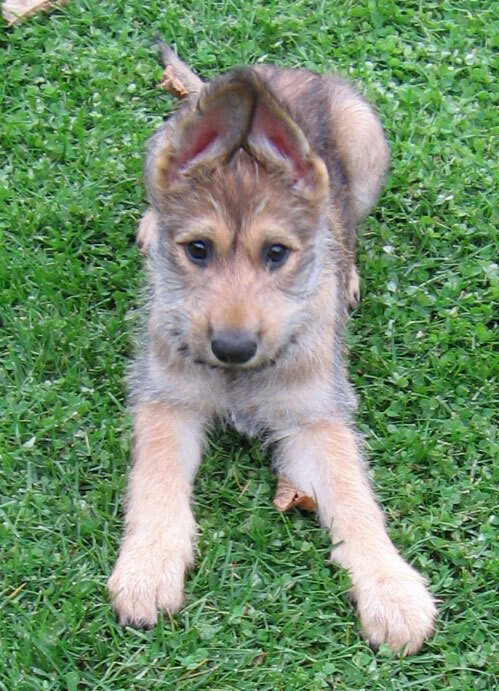 Take the time to study the breed before you decide to adopt a Berger Picard. It is of the upmost importance to determine if this breed is suitable for your lifestyle. Don’t hesitate to ask many questions to breeders. 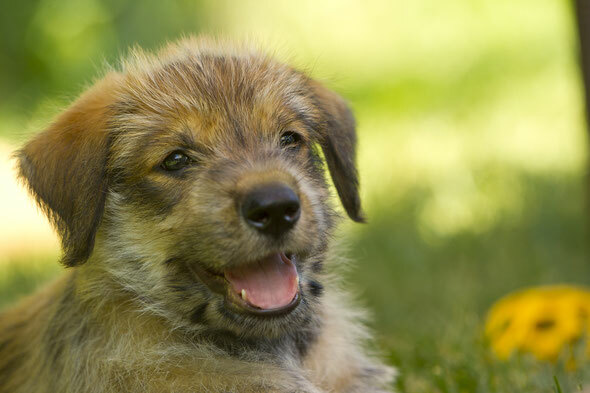 As an ethical Berger Picard breeder, your puppy will be socialized from its third week. It will come in contact with different objects, sounds, people and situations. All this in done to make sure that its integration into your home will go as smoothly as possible. Puppies live with us in our house until they leave. They are not separated from their mother, brothers and sisters. They also spend time with their dad in other to develop their sense of hierarchy. However, you will have to continue socialising him especially during the critical period of 8 to 16 weeks but also until he gets at least one year old. If you are not ready to make this commitment, perhaps it is better to look for another breed. We will always be there to help you and give you the best advice we can to ensure an optimal transition into your home.